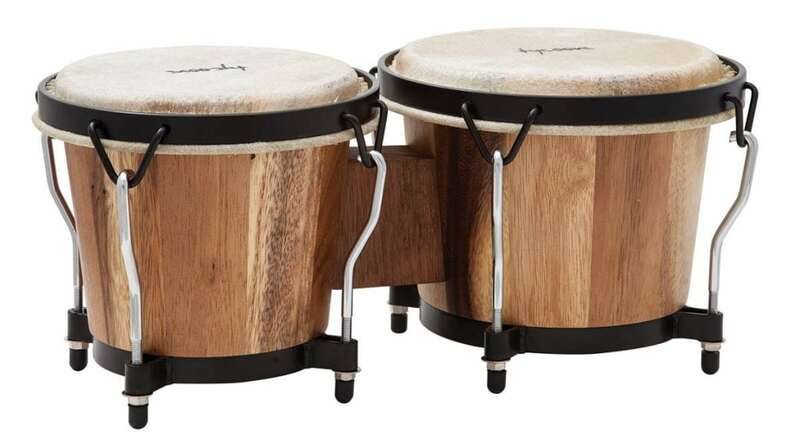 The Ritmo Series Bongos are constructed of aged Siam Oak, featuring 6 inch. x 7 inch. shells, black powder-coated Classic Pro hoops and large 1/4 inch. diameter tuning lugs. Perfect for beginner bongo players, they also include high quality water buffalo skin heads, and a tuning wrench.